The experience of launching into the atmosphere, riding in a hot air balloon while enjoying the birds eye view of the world below is an experience like no other. 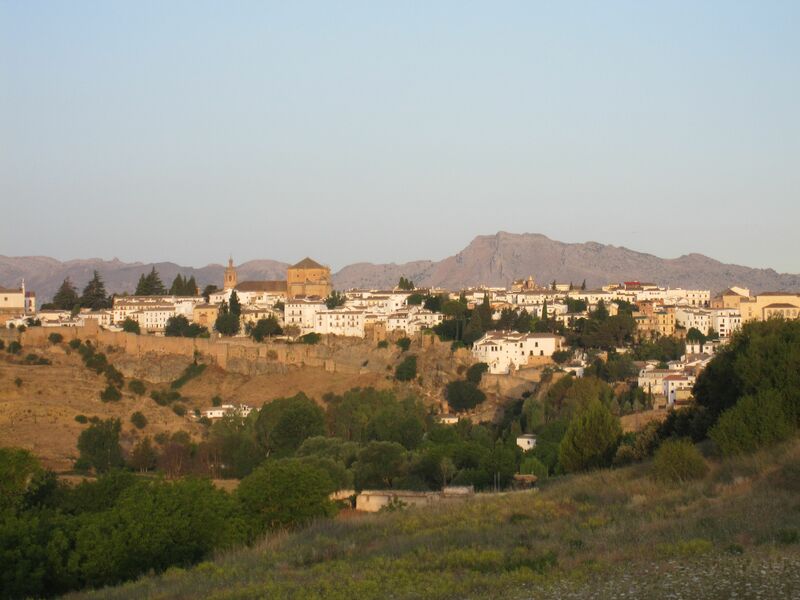 It requires no skills other than the ability to wake up early in the morning since most of the rides as at dawn when the weather conditions are perfect for a balloon flight. After a maiden flight with my friends in the Sonoran desert, I have been wanting to take the family along on a balloon flight. The ride was comfortable and peaceful with no sounds of whirling engines, just the occasional roar of flames from the burners, as you enjoy the unique perspective of the terrain below from the safety of your basket. Hot air balloon flights are getting popular and operators are highly experienced, often guiding the baskets closer to view landscapes and animals for a close-up. 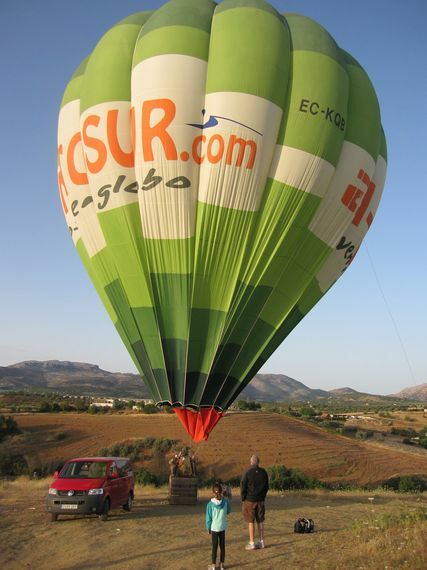 Here a 6 epic balloon rides around the world and the travelers who share their experience with us, whether on your honeymoon, family trip or solo trip what a fun way to see our world. had already spread dozens of balloons out, ready to be inflated. Generator driven electric fans initially blew the hot air generated by the propane burners into the balloons, which once filled, began to rise from the ground and continue filling. 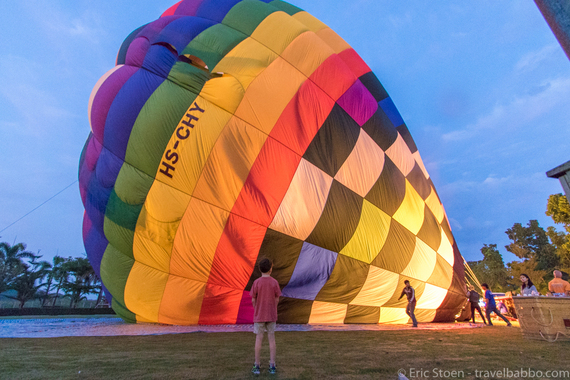 Once the balloon filled, Steve gave the order to be seated, the propane tank roared, and off we went into the air. After being given the all clear, we quickly came back to the standing position. 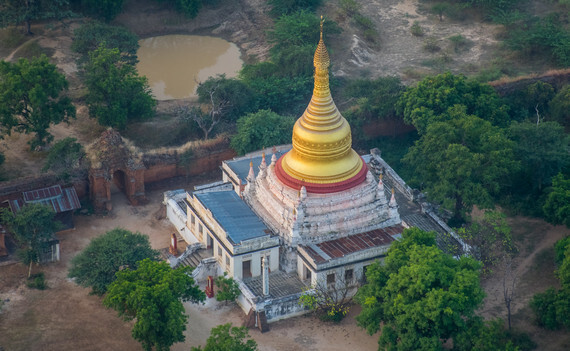 What greeted us, was an amazing sight of some airborne balloons, others still on the ground, birds flying level with us, and an almost endless assortment of temples on the ground before us. It was hard to focus on one thing: the other balloons dancing through the dawn haze, the temples revealing themselves as the sun came up or the birds flying amongst us. As we glided across the earth, there was no ignoring how serene this entire experience is. The feeling of being one with the air mass, suspended in it, created part of the sensation. The calls of the birds, occasionally drowned out by the intermittent roar of the propane burners, contributed another. But the main contributor was the temples below. They varied in scale and grandeur - some ornate, gold encrusted and well maintained. While others approached piles of rubble, victims of the inexorable march of time. But all were seeing yet another of the almost 400,000 dawns most of them had seen. With that realization was an understanding that this entire experience might be significant to the participants. However, in the grand scheme of things and the continuum of time, it approached almost insignificance. So, having put myself in the proper metaphysical space, unfortunately the time to land arrived. Steve navigated almost this entire trip on an iPad app, which enabled him to forecast our landing spot with accuracy, just east of the town of New Bagan. We glided into an easy landing in the open field. The ground crews secured our baskets, and we climbed out. The traditional champagne toasts awaited, a fitting end to a memorable experience. My husband and I decided to go on a trip for our second wedding anniversary. I never imagined it was going to be let the best vacations, the best days of my life. Let me start off saying that if you hadn't been to Africa, don't think it twice and make it your next trip. We visited several National Parks in East Africa on Safaris, including the Masai Mara National Reserve in Kenya. Its adjacent to the Serengeti National Park in the Mara region of Tanzania. The Masai Mara is named after the Masai people, the ancestral habitants of the area, tribes which by the way you can still visit today and it's a very enriching experience. I could write a book about my Safari in Africa but today it's about my first experience on a hot air balloon, and what a place to do it! First of all, to be honest we were on our wedding anniversary and we wanted to relax so when we were told we had to be up at 4:30 am for the balloon flight we weren't very happy, in fact my husband was mad at me for booking such a thing. They picked us up in the hotel at 5 am and we drove 30 minutes to the field where they were preparing everything for the flight. We flew with two other couples, when we arrived, we had some coffee and got to know them. Out pilot, was extremely funny, explained to us all the procedures and positions we had to follow and told us it was a very calm day with very little wind. We got in the basket and the pilot started turning the burners on so immediately the cold was gone. We started slowly floating up, as you slowly ascend, you start having a peace feeling. I cannot explain with words the serene and tranquil feeling you get when you start floating over the stunning acacia trees of Africa. The day was quite foggy but that had its magic itself. Even though we couldn't se the sunrise clearly, it was magic. The immensity of the plains of the Mara below us was breathtaking. Flying in a hot air balloon over Cappadocia was a must-do for us during our trip to Turkey. We watched the Pink Valley's fairy chimneys come to life as the sun rose and changed the colors of the unique rock formations through deep red, yellow, orange and pink hues. Our pilot was a master of precision and navigated high and low in the canyons. We could almost touch the rocks as we floated close to the chimneys, an impressive view of the scenic landscape. The lack of engine noise strengthened the sense of peace and made us more appreciative of our sunrise experience. We were served with cold Champagne upon landing, a great way to celebrate and toast a fantastic sunrise hot air balloon morning! As the Director of Content Marketing for Viator at that time, I booked the tour with one of our suppliers via www.viator.com. The company was top rated for its service, professionalism and quality, and exceeded our expectations. 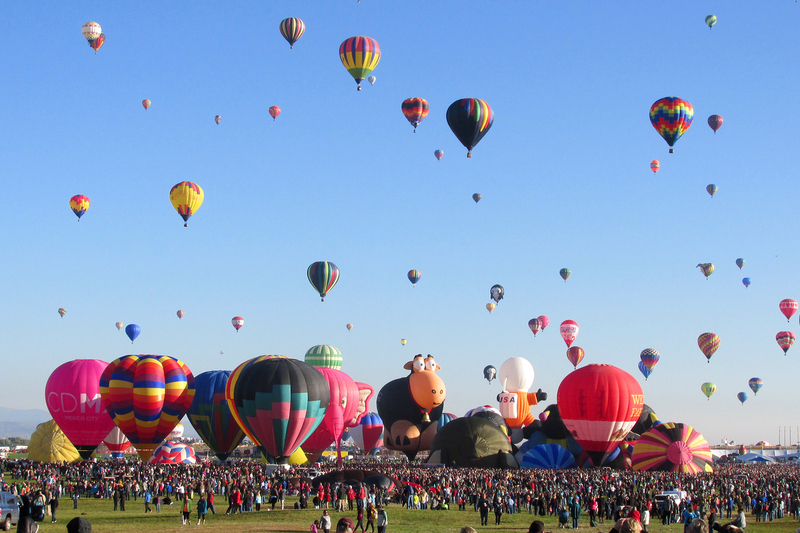 Fiesta, the largest ballooning event in the world with more than 500 colorful hot air balloons and nearly 1 million spectators. I've attended the Balloon Fiesta many times, but last year had the opportunity to go up in a hot air balloon. The view was stunning to say the least. As the sun began to peek over the mountain tops and illuminate the dawn sky, we peacefully floated high above the lush green river valley below with fellow balloons drifting around us in every direction. Even though it's the most photographed event in the world, pictures don't compare to witnessing the Balloon Fiesta in person. See here for more pictures and a blog post. There are both early morning and evening events throughout the 9-day festival (including some dedicated to special shape balloons ranging from Darth Vader to a trio of bees), and you don't have to ride in a balloon to be part of the magic. 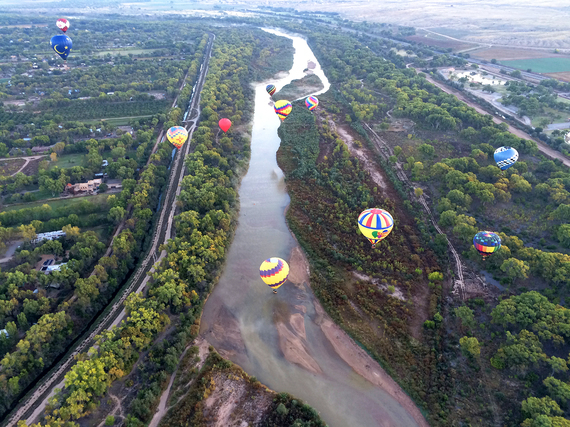 What makes the Balloon Fiesta a particularly exciting experience is that attendees can walk the field for an up-close look at the balloons as they inflate and liftoff in waves, creating a kaleidoscope of color in the sky. When I booked Chiang Mai for New Years Eve with my 8-year-old, the Four Seasons sent me a list of local activities, including hot air ballooning. We signed up immediately! 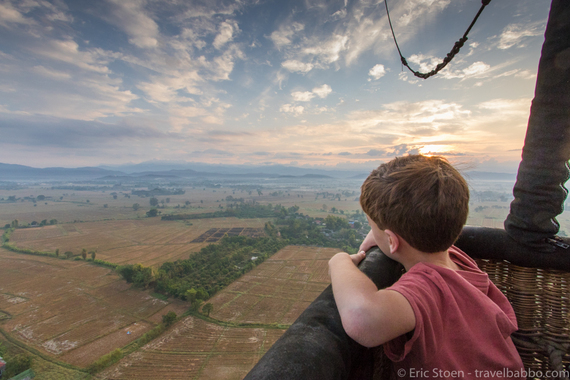 How much fun would it be to end the year in a balloon over northern Thailand? There is a long standing tradition in ballooning that after the flight the passengers and crew have a reception and enjoy some Champagne. If you ever wondered why Champagne, here is why - There is actually a reason behind this that dates back to the 1780s, when the first balloon flights were staged. On one of the first successfully manned balloon flights, the pilots carried along a bottle of champagne to enjoy on the flight but instead of actually drinking it, they had to use it as an offer to goodwill to the farmers whose field their balloon had landed in. The champagne convinced the farmers that they were not in fact demons and acted as an apology for disturbing the land and animals grazing in the field. The tradition still stands to this day, where the crew and passengers will toast champagne after the flight is over! How fun to toast champagne at these unique destinations - Is hot air balloon ride on your bucketlist... if so where? 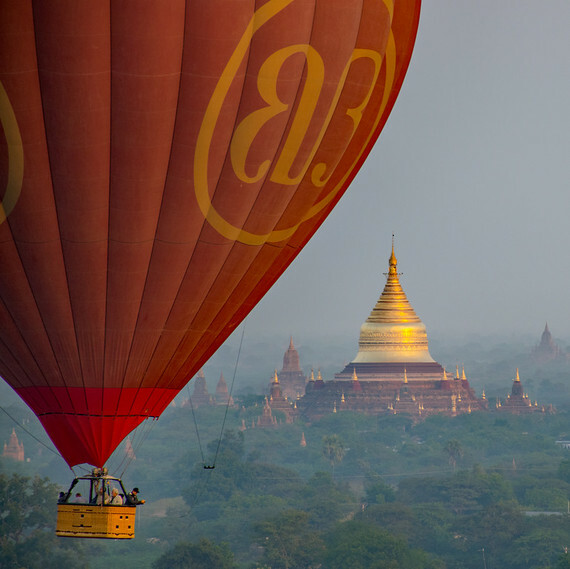 If you have been on a balloon ride do share you experience with us.